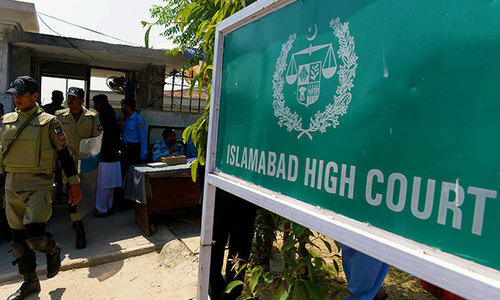 Islamabad High Court (IHC) division bench, comprising Justice Aamer Farooq and Justice Miangul Hassan Aurangzeb, expunged Justice Shaukat Aziz Siddiqui’s remarks regarding the country’s top spy agency from a judicial order. Moreover, IHC Chief Justice (CJ) Mohammad Anwar Khan Kasi has rejected allegations regarding interference in judicial proceedings and constitution of judicial benches by the Inter-Services Intelligence (ISI). In its appeal, the ISI had maintained that the judge’s order had been widely circulated inside and outside the country, which damaged the agency’s and the military’s reputation.